Your suitcase is one of the most important items you will use on your holiday, as it will hold together all your travelling items necessary for your trip. 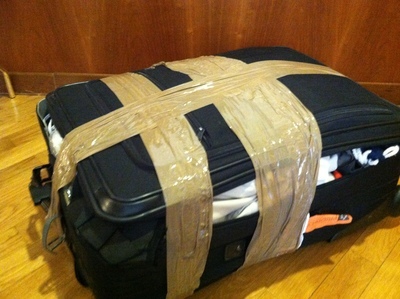 You will not believe how much strain and pressure your suitcase goes through. It is constantly being opened and closed, dragged through foreign streets and not to mention handled by aviation staff when you are not around. Your suitcase will be a beneficial tool throughout your travels, so ensure you purchase a good quality one. If you purchase something cheaply made, you may discover that it does not last you throughout your whole trip. This will not only be annoying but it also means you will have to buy another one. Sometimes when you try and save money, it turns out to be more expensive in the end. A durable suitcase is vital when doing a lot of travelling. A hard case is a great way to avoid any internal damages in your case, however a material suitcase is just as good, if the material is thick and strong. Something that is lightweight is a must. This will mean you can pack a few extra kilos as many airlines have weight restrictions. Opt for a bright colour suitcase, as it will be easily visible. Keep in mind it may get dirty so stick to deep colours such as red, orange and blue. Four wheel spinners are the best way to go, especially if you are travelling for more than two weeks and you are doing a lot of moving around. 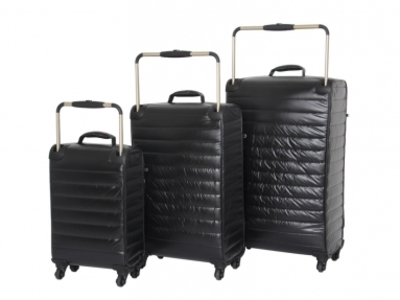 With all the walking, four wheel spinners give you the option to drag or even push your case. Looking at all these aspects of a suitcase, there is a huge range of good quality suitcases available that will last you not only this trip but also many more to come. Samsonite is known for its lightweight, hard case and four wheel spinner suitcases. If you are not into your hard cases, Samsonite also have high quality thick material suitcases. 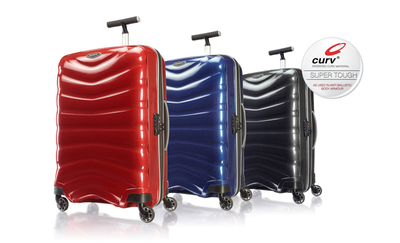 Known for its amazing endurance, Samsonite suitcases come in a variety of colours including red, blue, silver and black. Pricing varies on size, starting at $100 up to $900. IT luggage is also a highly recommended suitcase brand which is highly affordable, and simultaneously does not compromise its endurance. IT luggage holds the world’s lightest four wheel spinner on the market. Made from a tough tensile material, this suitcase starts at $200. Suitcases are best purchased at your leading bag stores including Strandbags, Victoria Station, David Jones and Myer. Purchasing your suitcase in store will allow you to get a warranty on your important purchase and have the help of an expert. Ask the friendly staff to help you tick all the boxes and help you find that perfect suitcase for you.